Step 1. 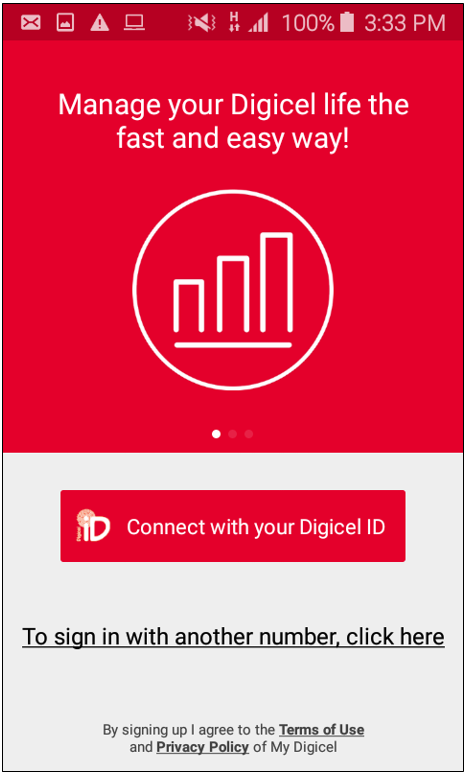 Open the My Digicel App and click on the white register button. 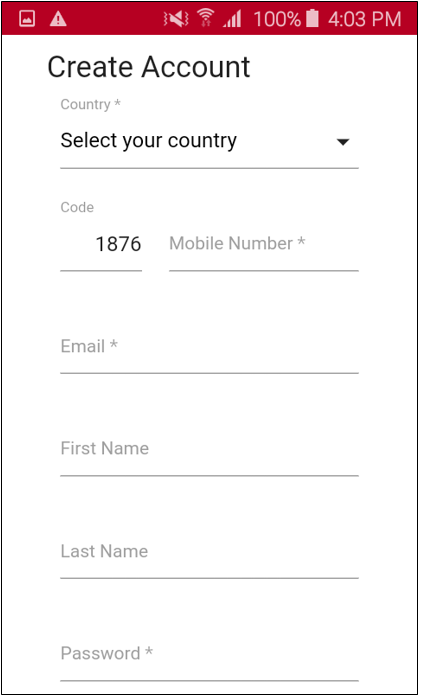 Select your country from the drop down menu, enter your phone number, email, first name, last name, choose a password then re-enter the password to confirm. Now click 'Create Account' and you are ready to begin using the app.